Fashion Design programme exhibition: how did it go? 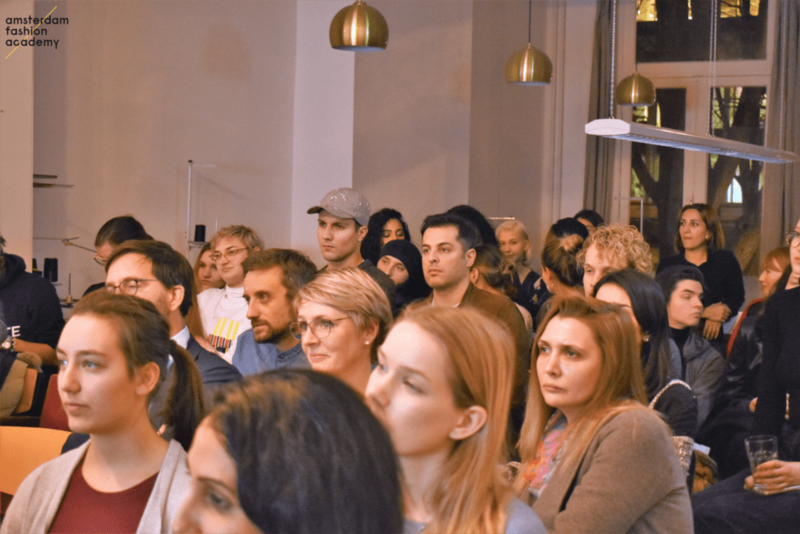 What a lovely vibe at the Amsterdam Fashion Academy last Thursday, 13th of December 2018! Many people and friends came to visit our exhibition of students works created in the BA (Hons) Fashion Design, BA (Hons) Fashion Business, Fashion Foundation and Fast-Track programmes. 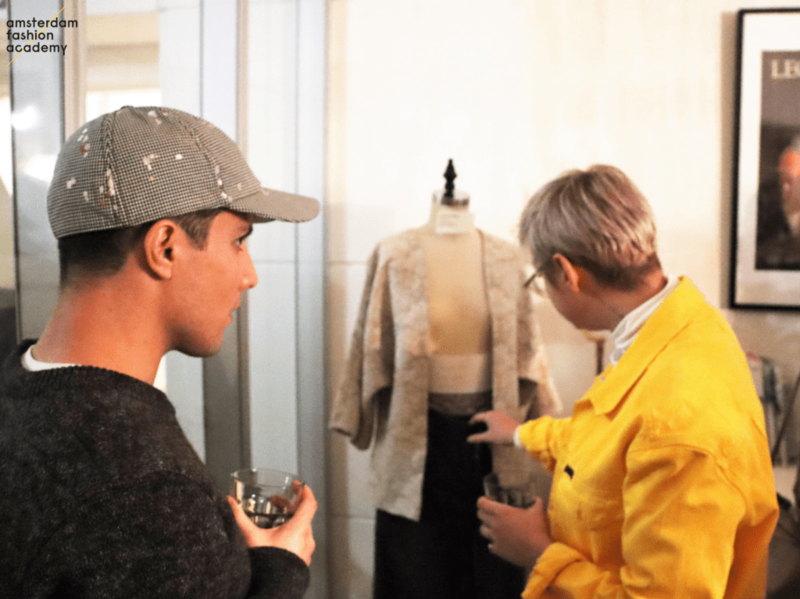 Garments, coats, designs, styling and textiles: the visitors had the opportunity to check what the fashion students did in just 3 months in our fashion design programme. The exhibition was also the excuse to celebrate the students of the Fast-Track Fashion Design & Business course, a group of international students coming from different countries who studies at our fashion university for 12 weeks. The Fashion Design programme exhibition included several pieces, such as jackets realised by the second-year BA (Hons) Fashion Design students, two dresses created by Emma and inspired by her childhood in Shanghai, two clothes by Tiffany, from Tokyo, inspired by a Parisian love story, a piece by Zhinia inspired by Iranian craftmanship and a piece from Olivia’s feminine collection inspired by Spanish culture and storytelling, among others. The Fast-Track Fashion Design & Business course will start again on May 6th and applications are open. 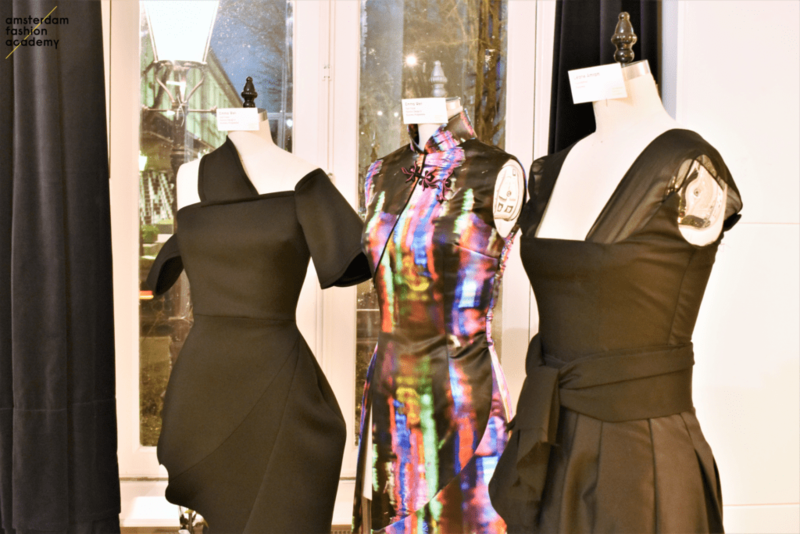 You can spend three months at our international fashion academy in Amsterdam learning fashion design, illustration, pattern making, draping, trend forecasting, marketing. The perfect way to combine travel, culture, creativity, learning and laying the foundations of your future and all in 12 weeks, which also happens to fit the validity of a 3-month tourist visa to the Netherlands. Please, watch the video below about the experience of the previous course. Furthermore, we have scheduled a new event on the 29th of January 2019, from 6:30pm to 8:30pm under the topic “How can designers & stakeholders contribute to a more sustainable fashion”. Guest speaker will be Dr. Radha Jethu, assistant-professor and program manager of the MBA-program Fashion Management at Business School the Netherlands. She has a PhD-degree in European Law and conducted research on Textile labelling. Moreover, she is the co-author of the book International Business (2016) published by Noordhoff Publishers and Routledge Publishers (UK). “I work in the textile industry for almost 20 years and I feel privileged to share my knowledge and ideas of Fashion Business, gained over the years through intensive research and study combined with my experience in the fashion industry”, says Radha. The Meetup is free and open to everybody. After the talk, we will have a networking session, with drinks and snacks.